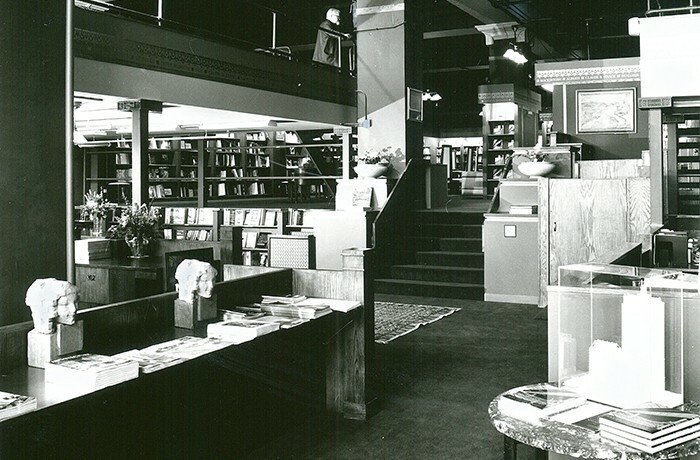 Founded by HPZS’s Wilbert Hasbrouck and his wife Marilyn, the Bookshop was originally located in the Prairie Avenue Historic District, later on South Dearborn Street in Printers Row, and finally moved to Wabash Avenue across the Street from Auditorium Theater. Closed in 2009, the Bookshop served the Chicago and world architectural community for over 30 years, growing to be the largest privately owned architectural bookstore in the United States. HPZS designed the multi-level facility, including integral bookshelf display cases and ornamental stencil work and plaster ornamentation.